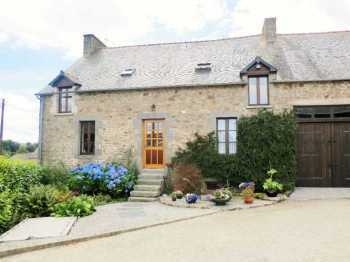 AHIB-3-mon1926 Morlaix 29600 Gorgeous 5 bedroomed colombage town house with garage. 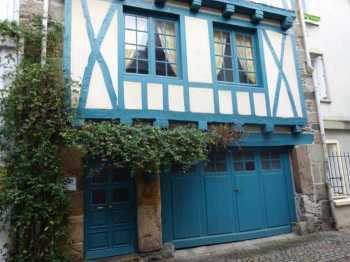 This beautiful timbered house dates from 1642 and was completely renovated between 1994-1995 is situated in the historic centre of Morlaix. 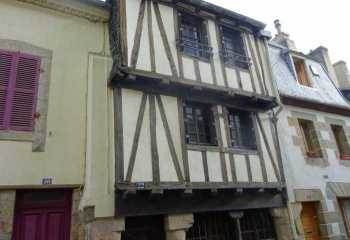 This lovely timbered property has several levels, with, on the street side a large garage. 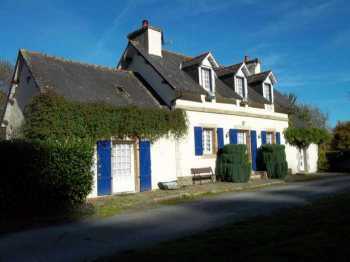 AHIB-3-M1817-2914748 Carhaix-Plouguer Area 29270 2 bedroomed canal-side lock cottage with little 1 bed gite attached, on its own, in a fabulous environment! 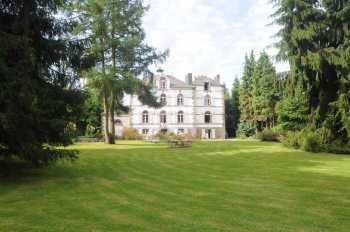 Located along the Nantes-Brest Canal, down in a valley, with no neighbours too close, this attractive house is facing a great environment, the lovely Canal and across a woodland area. It is surrounding by fields, it is a very peaceful location. 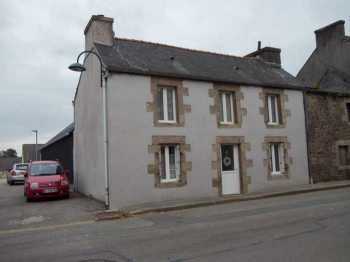 ￼￼￼￼￼￼AHIB-3-mon1767 Good Value Easy Do-Upper... A Village house with shops and schools within walking distance. Nice looking property built in 1914. 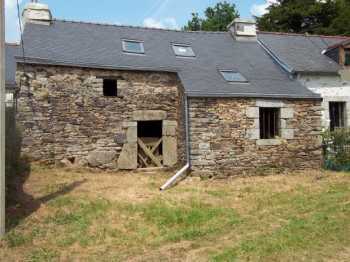 AHIB-3-M1829-2914742 Loqueffret area 29530 An ideal 2 bedroom house for the holidays in a nice village! 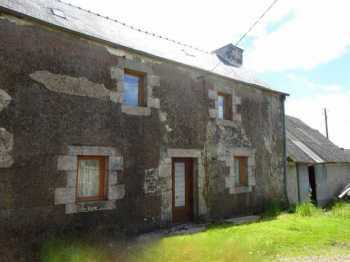 Located in the center of a nice village, this 2 bedroom house offers the advantage of being ready to move in, it's in a good general condition, it is habitable as it is, it will just need a few small mostly cosmetic improvements. 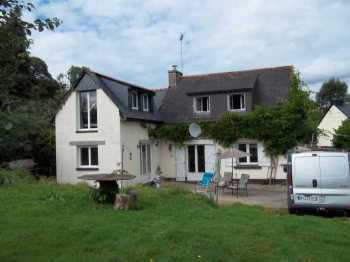 This superb property located on a beautiful plot of 4 hectares has lots of opportunities for a variety of projects. 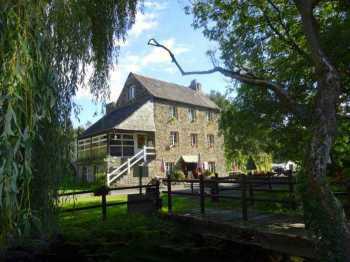 The mill with an impressive 300 m². 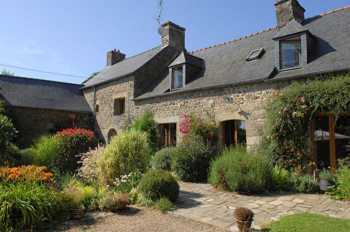 AHIB-3-M1819-2914737 Landeleau 29530 Countryside property, 3 bedroom house and stone outbuilding with a large garden! 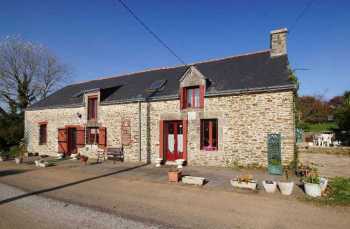 Located in a nice little hamlet, this pretty house has been recently extended and offers a nice habitable space, it is ready to move in, in good condition, and very little to do. 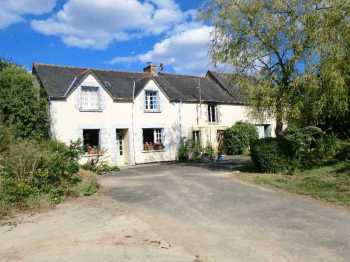 AHIB-3-M1816-2914735 Scrignac Area 29640 Large 4 bedroomed village house with 1,100m² of fenced garden and garage! 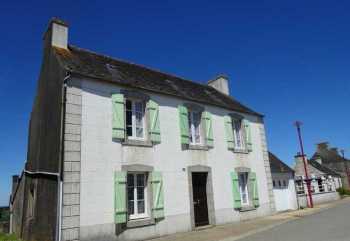 Located in a nice little village, walking distance to the centre, this nice house offers a good structure and some work has already been done on the inside, and new double glazed windows and shutters. Exclusive with our colleague. Some houses make you smile, give you a good feeling when you enter them. This one does that! Maybe its the character inside, or the quiet setting, or the country cottage look, this house has 'something'. 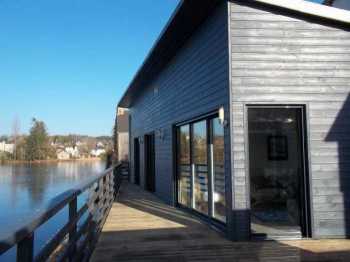 AHIB-3-M1780-2914723 Huelgoat 29690 3 bedroomed lakeside house - rare opportunity! You cannot resist this fabulous house, the extension of an old stone house is overhanging the lake with a glass door all along the front giving a fantastic luminosity to the house and great views from all the front rooms. 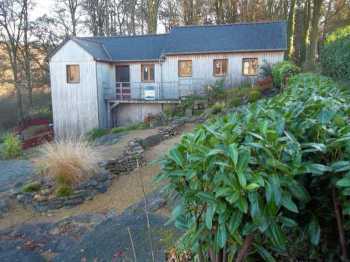 This lovely house has been used as a successful B&B for over ten years. The couple who run it are now looking to retire and have been scaling the business down for the past few years. 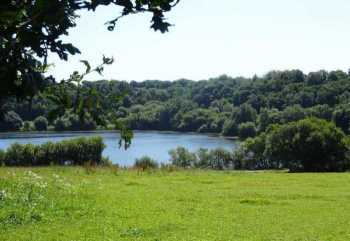 Within 400 metres of Lake Guic a plot of building land. 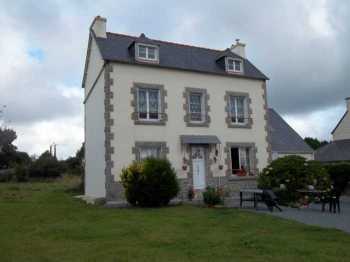 AHIB-3-M1759-2914709 Huelgoat 29690 Stone terraced house for renovation with a little garden in a hamlet of the Regional Park! 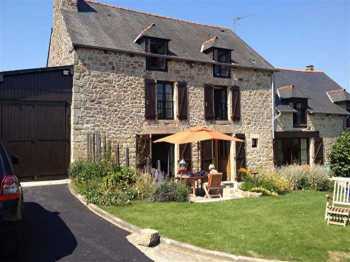 This lovely stone house is located in a traditional hamlet of the Regional Park. It is a terrace house, for total renovation except for the roof which is all new. 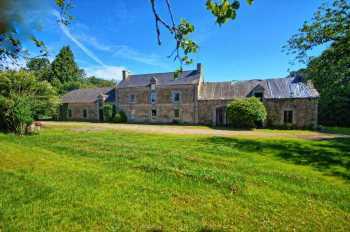 In the heart of a hamlet within the Monts d'Arrée, this lovely stone house is in need of completion of the renovation works.